We need you to volunteer at Columbia’s Greek Festival! 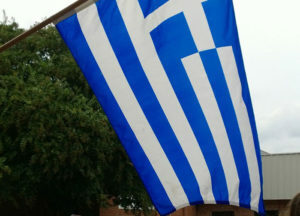 Did you know proceeds from Columbia’s Greek Festival are donated right back to the Midlands? Each year the attendance grows, and each year there is a need for additional volunteers.  Bonding/Teambuilding event for members of your organization!  Meet some interesting new people!  Learn more about your community!  Promote your participation via your organization’s social media channels!  Work a 4-6 hour shift and get a meal voucher for a delicious, homemade Greek meal at the festival!  Volunteers receive a community service certificate! Plus you’ll be part of an event that generates tens of thousands of dollars for our community.